Quality tailored singing lessons and songwriting coaching for your unique voice. Are Singing Lessons For Me? Out the front of the studio, here in Melbourne. I’m a nerd and a problem solver. I like writing weird music and making guitar pedals from scratch. I like skateboarding, knitting and belting out the odd radiohead song. I love seeing my students express themselves with their true voices. When I first started learning about the voice it was because I was performing regularly in rock and folk bands, yet there were problems in my voice that I thought no-one could fix. I’d gone from teacher to teacher, I’d studied under many reputable people and techniques in Melbourne and in London but it took me a LONG TIME, a lot of books, and a lot of expensive lessons with people all around the globe until I could figure out what was going on. But learning to sing doesn't have to be like this. Now that I'm a teacher myself, I make learning how to sing fun, straightforward, and no BS. I won't ask you endlessly to "support from the diaphragm!" or do exercises that aren't helpful. Lessons with me are all about helping you overcome any obstacles you have, right from the word "Go" with a heap of fun along the way. I won't ask you to sound like anyone else; lessons are about making your voice shine. - I have a B.A. in Music Industry from RMIT (Melbourne), and have been working in the local music industry for more than a decade. - I have trained in IVA technique, Bel Canto and Alexander Technique and continually study vocal science and pedagogy to keep my teaching at its best. 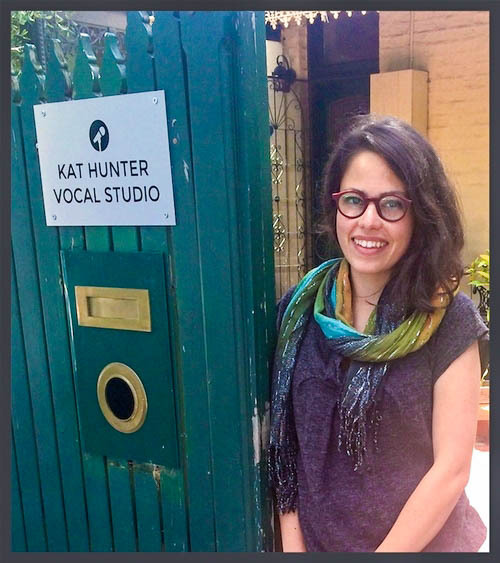 - I have trained with some of the foremost vocal teachers in Melbourne and across the globe, including Spencer Welch (CAN), Rachel Black (UK), Guy Babusek (US), Stephanie Borm-Kreuger (GER). - I have played shows in Germany and the UK and have completed an artist’s residency at the Laboratoire de la Création in Paris. - I have been performing original music in pop, rock, folk and soul bands for over a decade.